10 MB, 26 pgs, 960 x 640 pixels. Four totally insane Super Haters short stories all about the asinine antics of Nilufa Nahari and Todd Purvee. 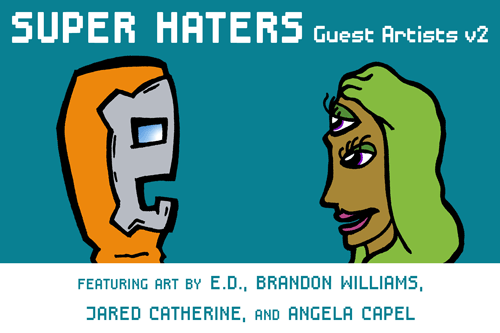 Featuring astounding art by E.D., Brandon Williams, Jared Catherine, and Angela Capel.